“Pull,” I shout, and the orange clay pigeon arcs out across the pond. Boom! The clay hits the water and flutters to a watery grave, unmolested by my rain of lead shot. I’m at the “five stand” of the Sandy Creek Sporting Grounds at Reynolds Lake Oconee, a sprawling community about 90 minutes east of Atlanta. 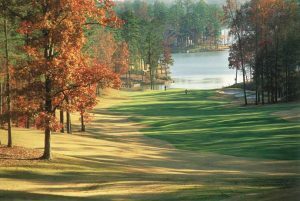 Six golf courses and a Ritz-Carlton Hotel and thousands homes line the 19,000-acre Lake Oconee. I’m here for the golf, but the temptation to try my hand at clay shooting with an over-under 20-gauge shotgun has seriously eroded my self-image. I’m 0-for-8 when I hand over the gun to a diminutive woman who promptly blasts to smithereens every clay she’s presented with. Finally, Justin Jones, the Welshman who runs the place, says something that clicks. Fire when the clay reaches the peak of its arc and is at its slowest. When everyone else has had a turn, I try again. Boom! Bits of clay fly off the spinning disc. I am redeemed. 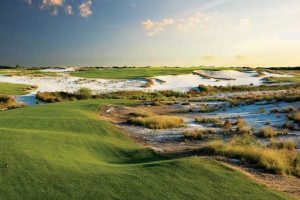 Jones, who has developed sporting grounds for high-end resorts around the world, has created a sportsman’s paradise. On the 100-acre Sandy Creek property is the aforementioned five-stand, a sheltered elevated shooting stand above a pond. Clays are launched by remote control from five different angles. Elsewhere on the grounds are a separate 20-station clay shooting course;an archery range; an air-rifle range; and a catch-and-release fishing lake. Reynolds Lake Oconee is the brainchild of Mercer Reynolds III, who upon the damming of the Oconee River in 1979 found himself with 10,000 acres of yellow pine woods, most of it on the shores of the newly created Lake Oconee. 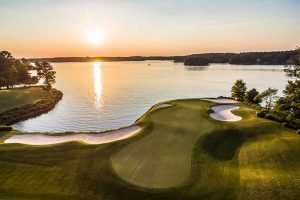 Reynolds Lake Oconee's location not far from Augusta puts it squarely in the golf equivalent of the “Goldilocks” zone, what NASA scientists call a planet that’s close enough to its sun to sustain life, but not so hot as to fry it. Snow is a rarity in this neck of Georgia. Sunshine and playable weather is the norm. A typical high in February is in the mid-50s. 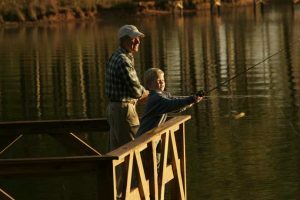 The Reynolds Lake Oconee development, now owned by Met Life, boasts guest cottages and condos, fishing, boating, the shooting and sporting club, tennis academy and kayaking. 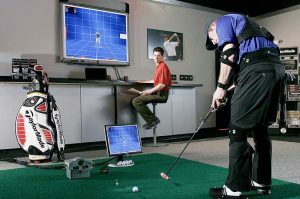 Its hi-tech “The Kingdom of Golf” is a TaylorMade equipment fitting and training center that has all the latest gadgets. 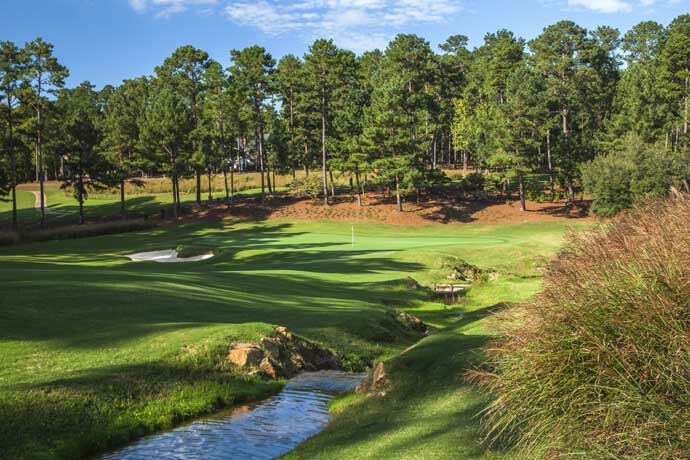 Ala carte, Reynolds Lake Oconee greens fees run between $160-$280. 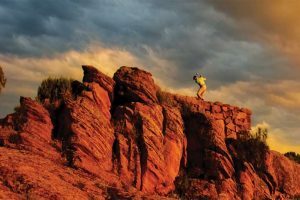 Peak season is March 15-July 13 and Aug. 29-Nov. 30, but buddy-trip golfers know real road-trip values lie in stay-play packages. On that score, Reynolds Lake Oconee has plenty of deals starting at between $219-$359 per person per night for a party of four in a 2-bedroom condo or 4-bedroom cottage. 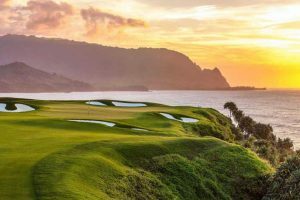 All golf packages include breakfast, one round a day, cart, unlimited use of practice facilities, and discounted replays, free wifi, use of the fitness center and access to the best swing-analysis and club-fitting center this side of the PGA Tour. 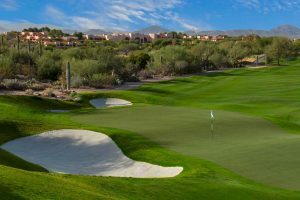 Packages can be built around golf alone, golf and shooting, or golf, shooting and fishing/boating/tennis. Reynolds Lake Oconee is located in Greene County, Ga., (2017 population 17,281) about 70 miles east of Downtown Atlanta. The damming of the Oconee River created Georgia’s second-largest lake. 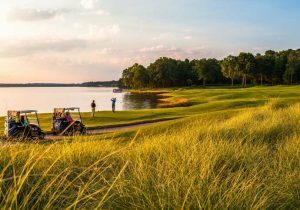 With 19,000 acres of water, Lake Oconee is now a spectacular sportsman’s paradise featuring 374 miles of shoreline and plenty of undeveloped rolling pine forest still available to build that vacation or retirement home you’ve been dreaming about. 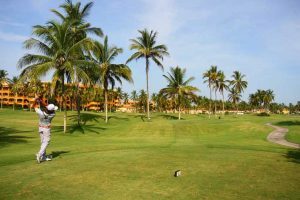 Over time, one golf course after another was added, and the sporting grounds with clay shooting, archery, fishing and boating were developed. 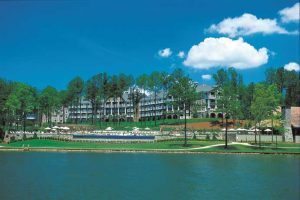 The Ritz-Carlton Reynolds, Lake Oconee, a five-star hotel with its own level of dining and spa pampering, was an early centerpiece of the destination. 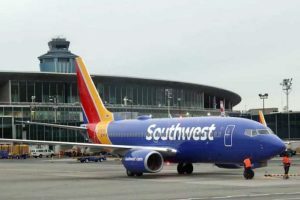 For residents, there’s a robust schedule of theater and music productions, art festivals and competitions and 75 different clubs, including a veterans’ group. The nearby towns of Greensboro, Madison, Athens, Milledgeville and Augusta offer all the shopping, dining and small-town charm you’d expect of Georgia. Weather records for Greenboro, the nearest town, show that August generally sees temperatures averaging in the mid 80s. Through mid-November, temperatures stay in the high 60s to low 70s. Best of all, by March, when snow is still a threat in most of the country, Greensboro’s weather is back into the high 60s, low 70s. Average snowfall: 1 inch. Average days of sunshine per year: 217. 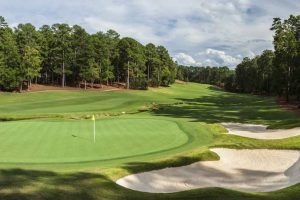 Visitors have their choice of five pedigreed courses that play hide-and-seek with the shores of Lake Oconee as they wind through pine-studded hills among the area's various communities. There’s a sixth course if you’re lucky enough to be invited by a member to play The Creek Club, a private club. Lake Oconee comes into play on No. 7 at the Landing. The Preserve. 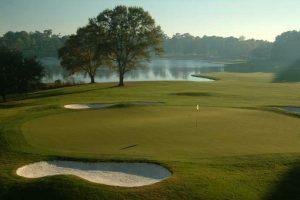 Opened in 1988, it was designed by Bob Cupp, along with U.S. Open Champions Fuzzy Zoeller and Hubert Green. The course, updated three times, has just 20 bunkers but plenty of false fronts and swales to make up for its lack of sand. (Par 72, 5,121-6,698 yards; rating 69.9-72.3/slope 123-132) The Preserve features a short course within a course, known as the “Quick Six,” a loop of six holes, each under 130 yards, that can be played in about an hour. You know those equipment vans at PGA Tour events? They have one at Reynolds – TaylorMade’s original traveling tour van, actually, where custom clubs can be made by a master clubmaker on the spot. 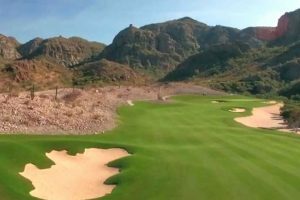 The Kingdom of Golf also has a 16-acre range; three-hole short game area; and three open and four enclosed heated hitting bays equipped with TrackMan 4 launch monitors. To best graph your swing, the Kingdom uses “Gears,” a full-swing club- and body-tracking system popular among PGA Tour professionals, club fitters, and manufacturers. Your swing is captured in full 3D from address to follow-through via video at 240 frames per second. Putting is analyzed via the Quintec putting launch monitor, and lasers are used to aid alignment. 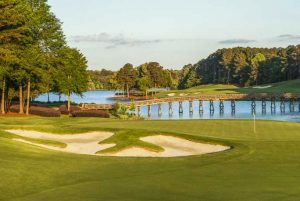 Guests have a variety of lodging choices, starting with The Ritz-Carlton Reynolds, Lake Oconee, a 251-room 5-star hotel, The hotel is a short walk from the lakefront and steps from the Linger Longer Steakhouse, an upscale dining experience. The Ritz-Carlton has two other restaurants on-property along with five culinary options within the community. Family and buddies-trip lodging choices include The Village at Lake Club Pointe, which offers 2- and 3-bedroom condos just yards from The Ritz-Carlton; The Landing Cottages, 3- and 4-bedroom cottages in a nearby Reynolds community; and The National Club Cottages, each designed to accommodate eight people comfortably. All National Cottages have 4 bedrooms, 4½ baths, and a full kitchen, plus two open living spaces and porch areas. Guests enjoy daily housekeeping service. 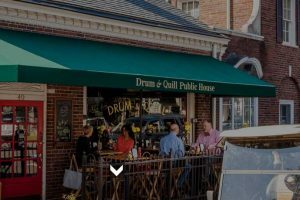 By far the favorite of visiting buddy-trip golfers, the National Club Cottages are a sand wedge away from The National Tavern, a vibrant craftsman-style farmhouse restaurant/brewpub loaded with local beers and great food. Inside, there’s a stacked stone fireplace. Outside, there’s a fire pit and a lighted practice green for the night putters among us. At the five-stand at Sandy Creek property, clay discs are launched by remote control into the shooter’s field of view from five different angles upon the command “pull.” There’s a separate 20-station clay-shooting course; archery range; air-rifle range; and a kayaking and a private catch-and-release fishing lake. Sandy Creek is the brainchild Jones, a Welsh sporting-clays champion who worked with The Greenbrier in West Virginia and Gleneagles in Scotland to develop similar sporting properties. He’s also tutored members of Britain’s Royal family in the sport of shooting. 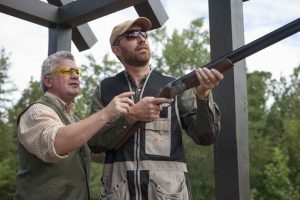 Guests are given basic instruction and safety equipment before being handed Beretta over-under 20-gauge or .410-gauge shotguns and shepherded by instructors through the various shooting locations. Reynolds Lake Oconee has an estimated 433 pounds per acre of largemouth bass, white bass, bream, crappie and catfish – twice the fish population of a typical Georgia lake. Four full-service marinas and The Ritz-Carlton offer rentals of jet skis, ski boats, fishing boats, fishing tackle, fishing guides, canoes, kayaks and paddleboards. There’s also tubing, water-biking and wakeboarding. 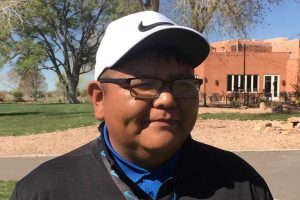 Dan Vukelich, editor of New Mexico Golf News, is a member of the Golf Writers Association of America and the Golf Travel Writers of America. Reach him at [email protected] . This piece originally appeared in Golf Chicago magazine.